Shred Ace is 100% committed to providing safe, secure destruction of all of your materials, protecting you and your business from fraud, identity theft, and other potential hazards. We shred your materials right in front of you on our truck, leaving absolutely nothing to chance. Take a look at our secure document shredding and hard drive shredding process to see exactly what we mean. A NAID AAA Certified shredding service, a closed chain of custody, and shredding that is done right before your eyes – it doesn’t get more secure than that. 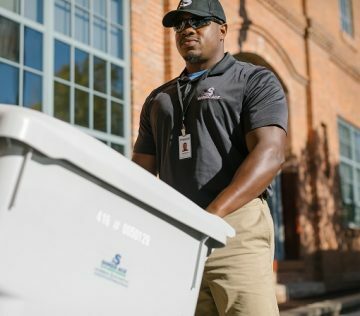 Shred Ace provides secure NAID AAA Certified mobile paper shredding and hard drive shredding services to customers in Raleigh, Greensboro, Charlotte, Fayetteville, and surrounding areas of NC. We pride ourselves on unmatched security and service, and we can always provide references upon your request. Shred Ace is owned and operated in North Carolina, and we are one of the leading document and hard drive shred companies in the area. Since 2008, we have been providing secure mobile document shredding services and hard drive shredding services to customers from Rocky Mount to Charlotte. Contact us and learn why so many businesses, government agencies, and organizations choose Shred Ace for their NC shredding services. From paper shredding to hard drive shredding– we do it all! 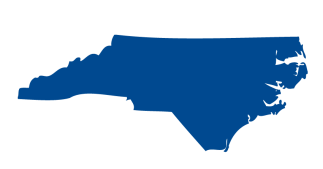 Shred Ace is proud to offer our GSA Contract GS-03F-071DA services to qualifying organizations in North Carolina. Thanks Matt, The gentleman that came on campus to shred today was great, very professional and courteous and was very careful about where he parked, etc. We appreciate it! I have told other departments about you and I will let you know when we finally make our way to the storage room. Good Afternoon… I just wanted to let you know that your driver is consistently one of the nicest, most professional, willing-to-help people who has come to our office. He represents your company very well and I thought you should know. Happy Holidays! We may have been the last company in the area to find out how impressive Shred Ace is! Our experience with them has been nothing short of cheerful, professional, above and beyond and doing exactly what they said they would do. My interaction with Matt and the delivery driver could not have been more pleasurable – smiles all around! Thank you Shred Ace! Please don’t hesitate to contact the NC shredding specialists at Shred Ace with any questions you might have!